Warning: Automatic Refresh: Configuration refresh message: The system cannot access one or more event logs because of insufficient access rights, file corruption, or other reasons. 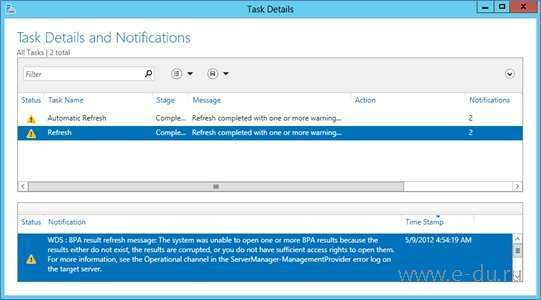 For more information, see the Operational channel in the ServerManager-ManagementProvider error log on the target server. 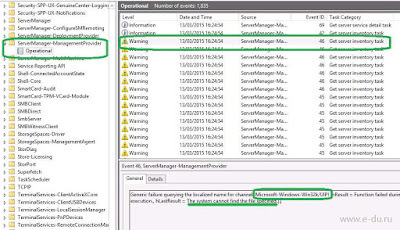 "Event viewer cannot open the event log or custom view. 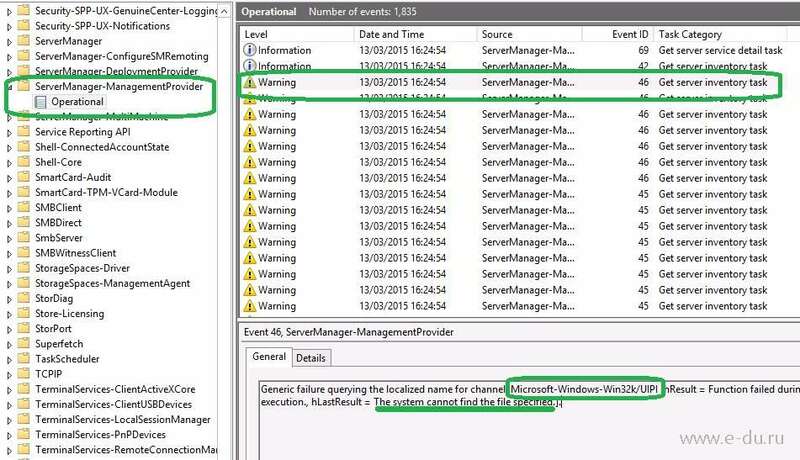 Verify that the event log service is running or query is too long. the system cannot find the file specified (2)"
1. Открыть журнал событий (Event Viewer) по пути "Application and Services Logs / Microsoft / Windows / ServerManager-ManagementProvider / Operational"
2. Найти одно или более событий с идентификатором EventID 46 и следующим сообщением: "The system cannot find the file specified" и получить имя канала/каналов (channel name(s)). 3. Сделать резервную копию реестра. 5. Обновить главную панель менеджера серверов (Server Manager Dashboard). Проблема должна исчезнуть.